Tommy Twigtree and his friends enjoy peace and harmony in their garden. That is until Robbie Rabbit and his Bandits decide that carrots are on the menu! 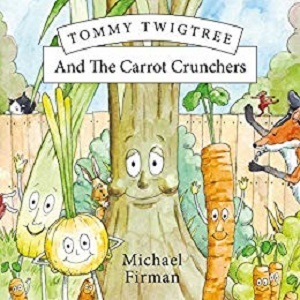 Tommy Twigtree And The Carrot Crunchers is the first book for children by Michael Firman. Illustrations are by Nick Roberts. Tommy Twigtree stood overlooking the vegetable patch where his friends Olivia Onion and Larry Leek lived. One day he heard them talking about wanting to have more friends so he suggested they invite Charlie Carrot as he had some seeds that needed planting. Olivia and Larry agreed and Charlie came the next day and planted his seeds. Over the coming weeks, his carrots grew bigger and bigger. However, Robbie Rabbit and his Bandits loved carrots and wanted to eat them all up. With the fence surrounding the vegetable patch high enough to keep the rabbits out, will they find another unique way of getting in and if they do what will happen to all the carrots? Tommy Twigtree and the Carrot Crunchers is a fun, young children’s book about a group of vegetables, a tree, and some mischievous rabbits. The book has some wonderful illustrations which really emphasise what is happening and make the story come alive. 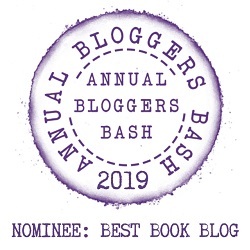 The book is very sweet and was a quick read. I only have one little concern and that is to do with the carrots that have been given faces and voices being eaten by the rabbits – the child I read the book to got a little upset by this. I do wonder if this is the first book in a planned series featuring different vegetables? I do hope so.